Virtual journal clubs (VJCs) provide a standardized, easily accessible forum for evidence-based discussion. 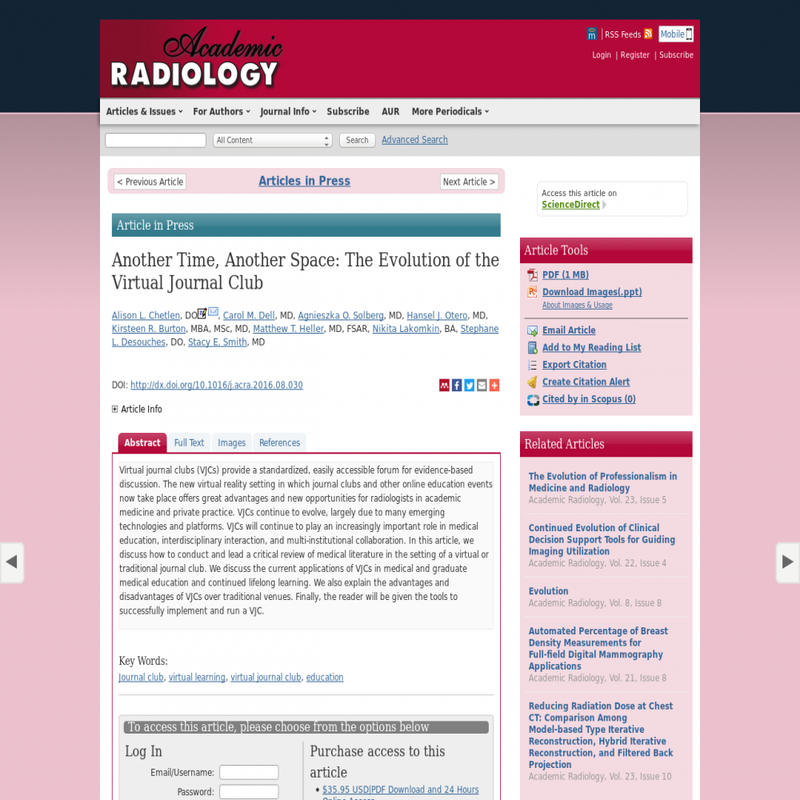 The new virtual reality setting in which journal clubs and other online education events now take place offers great advantages and new opportunities for radiologists in academic medicine and private practice. VJCs continue to evolve, largely due to many emerging technologies and platforms. VJCs will continue to play an increasingly important role in medical education, interdisciplinary interaction, and multi-institutional collaboration. In this article, we discuss how to conduct and lead a critical review of medical literature in the setting of a virtual or traditional journal club. We discuss the current applications of VJCs in medical and graduate medical education and continued lifelong learning. We also explain the advantages and disadvantages of VJCs over traditional venues. Finally, the reader will be given the tools to successfully implement and run a VJC.